Scooby-Doo! and the Curse of the 13th Ghost (film, 2019). A 2019 American animated direct-to-video comedy mystery film by Warner Bros. Home Entertainment/Warner Home Video. Directed by Cecilia Aranovich Hamilton. Official Trailer. Scooby-Doo! and the Curse of the 13th Ghost is a 2019 American animated direct-to-video comedy mystery film directed by Cecilia Aranovich Hamilton. Scooby Doo! and The Curse of The 13th Ghost Trailer. A prologue set before The 13 Ghosts of Scooby-Doo depicts a young Vincent Van Ghoul and his partner Mortifer hunting down and successfully sealing the final ghost into the Chest of Demons. Mortifer however is attacked and seemingly killed by minion ghosts as a tearful Vincent makes his escape. Scooby-Doo would eventually accidentally reopen the chest but would catch all but one with the help of his friends Daphne and Shaggy. The final ghost, still at large, seeks to release its counterparts and take control of the planet. In the present day at Old Timey Toys, Mystery Inc. is forced to retire from solving mysteries after catching a teenager-fearing Farmer Morgan and largely due to the ungrateful sheriff telling them they could be arrested for harassment. In addition, Old Timey Toys' owner Mrs. Malvo was handcuffed outside for trying to stop a deal with Farmer Morgan The following day, they hold a garage sale and sell items from their old mysteries, even the Mystery Machine, leaving Fred depressed. 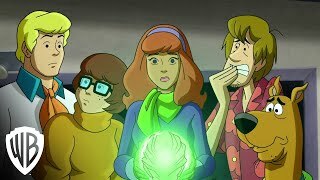 They then discover the crystal ball that Daphne, Shaggy and Scooby used to contact Van Ghoul during their ghost recapturing adventures. At that moment, their old friend Van Ghoul contacts the gang about the final ghost. Daphne fills Fred and a skeptical Velma in and unveils the red van dubbed the Misstery Machine, and the gang start on their journey to meet Van Ghoul. On their way to his estate, they are chased by a phantom car but Daphne manages to skillfully outmaneuver it. Seeing Daphne take charge only furthers Fred's existential crisis as he feels he is without a role. The gang meet Van Ghoul but are all attacked by the thirteenth ghost: a hulking, winged demon-like creature named Asmodeus. 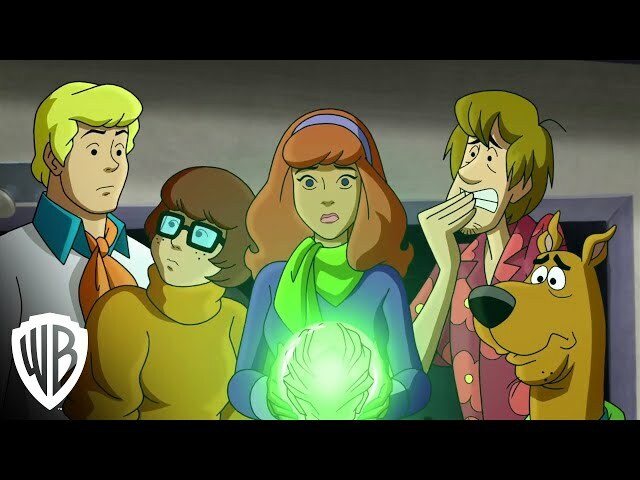 Shaggy reveals that he sent the chest to Van Ghoul's residence in the Himalayas and the gang travels there using a flying boat. The film Scooby-Doo! and the Curse of the 13th Ghost was scheduled to be released by Warner Bros. Home Entertainment and Warner Home Video on February 5, 2019 (DVD and digital). The duration of the film is 82 minutes. The audience dislikes the film.